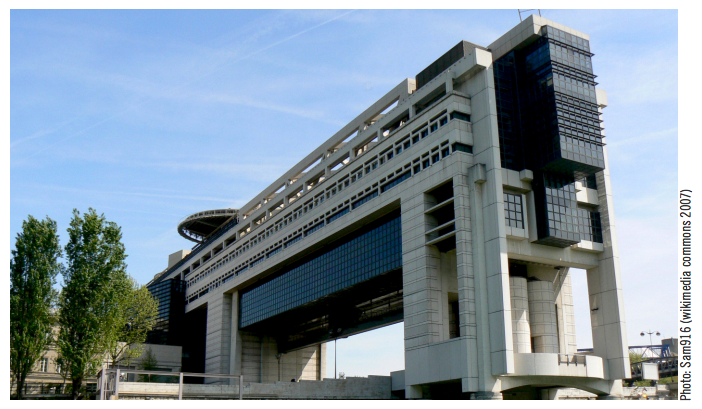 The French Ministry of Finance has moved to Open Source with COBOL-IT software. Cobol-it > Micro Focus COBOL > The French Ministry of Finance has moved to Open Source with COBOL-IT software. The French Ministry of Finance (DGFiP) has taken another significant step in the usage of open source software in its IT systems, moving the management of the entire Value Added Tax (VAT) system on to COBOL-IT’s open source COBOL solution. This extremely important application includes functionality for managing the Value-Added Tax (VAT) application with all of its related uses, (business taxes, and mortgage investments, for example), altogether handling the collection of close to 70% of the receipts of the French government. The application is considered to be “mission-critical” and receives the highest level of attention. The French VAT application was created more than 25 years ago by the Ministry of Finance’s IT department. Today, several dozen software engineers are charged with the maintenance of the application, with modifications made as warranted by changes in the laws of the land. Recent financial regulations introduced by President Sarkozy to help businesses during the current economic crisis, and the recent decrease of the VAT applied to restaurants forced modifications throughout the application, for example. The daily administration of the VAT application is run in almost military fashion by a team of engineers based in western France, leaving nothing to chance. Modifications are carefully tested, validated, and certified, passing through rigorous internal controls. When deployed, the application requires more than 650 HP Itanium servers, each of which is located in a French tax collection center, and is used by more than 20,000 government employees on a daily basis. It was while upgrading older HP servers with the latest generation of HP technology that the French Ministry of Finance undertook a thorough review of the IT infrastructure servicing the VAT application. Being in a time of economic crisis, the public sector has a directive to « produce more with less ». Following this directive, the DGFiP decided to replace the proprietary COBOL software that they were using with an Open Source COBOL alternative. In addition to providing significant cost savings, the Open Source COBOL had to provide equivalent functionality, and longer term guarantees on maintenance. Retracing the evolution of the Ministry of Finance’s VAT application since its creation is instructive, and an indicator of the significance both of Open Source software solutions, and more specifically, of COBOL-IT. The Ministry of Finance’s VAT application was created more than 25 years ago, and developed using a programming language that just recently celebrated its 50th birthday, namely COBOL. The COBOL application was developed originally for Bull and IBM mainframe environments. As it evolved, it eventually transitioned to HP Servers running Unix, when these environments surpassed the mainframes in performance while costing much less. Now it has transitioned again, to COBOL-IT, for the same reasons. Over time, the French VAT has continued to evolve, always keeping their COBOL application in tact, thereby assuring them of continuity of service without risk, and without having to undertake major rewriting or reengineering efforts on their very critical, very specialized application. Analysts estimate that there exist between 200 and 500 billion lines of code written in COBOL in the world today. The importance of COBOL is little understood by the general public, but it serves a critical function in the largest corporations in the world, including banks, insurance companies, telecommunications providers, and governmental agencies. In these demanding business environments, the daily volume of transactions processed is larger than the number of « clicks » registered on the Internet ! Under the circumstances, it is not surprising that a number of software companies have been able to create very profitable niches for themselves in this marketplace. Such has been the case for Micro Focus, an Anglo-American software company that has dominated this market for more than 35 years. But, the recent appearance of the Open Source model has upset the established order, more specifically the Open Source COBOL compiler provided by the young French company COBOL-IT, which has managed to position itself as the world leader in this market. In just over a year’s time, COBOL-IT has been successfully adopted by the French Ministry of Finance, and is attracting the attention of a large number of local and international corporate clients, as well as the giants of the IT, and data processing industry, such as HP, Oracle, Microsoft, and Sun. « The global economy evolves constantly, and rapidly. In the current economic crisis, people around the world are examining all their expenses much more closely than before. », says Stephane Croce, the founder of COBOL-IT. « Why would the software industry be any different? », he adds. According to the founder of COBOL-IT, more than 90% of existing COBOL applications in production are effectively in a maintenance mode, with little or no new development planned. Why, under these conditions should corporate users pay astronomical sums each year to use applications that are fully developed, and they have already paid for 100 times over ? Such was the case with DGFiP’s application handling the management of the Value-Added Tax. « Our offering allows customers to realize considerable savings while furnishing the same levels of quality and service that they are currently getting from vendors of proprietary software. », says Stephane Croce. The Open Source model which until just recently was considered to be a marginal solution and not viable for large corporate end-users. « We have seen the world of Open Source evolve in a positive way, and a broad range of solutions have matured. The code structures are professionally designed. Open Source Software development is controlled with industry-tested practices. Using the Open Source model, COBOL-IT has become the new generation of Software Company. Levels of scalability and reliability are unprecedented. », says Stephane Croce. «This is the reason that the DGFiP chose our solution after subjecting it to their most rigorous stress tests. ». But beyond the financial aspect, there are also cultural and structural conditions which allow such a young company to be adopted by large corporations who typically have very strict requirements, and require multiple references before they will agree to do business with a provider of software and services. « We earn money on Subscriptions that our clients purchase and renew on a yearly basis. The Subscriptions provide our users with professional Technical Support services, and the very latest releases of our products. There is no price for Compiler or Runtime licenses, so our customers realize considerable savings. », adds Stephane Croce. Including an in-depth knowledge transfer with a sale is becoming an increasingly common practice in large-scale business transactions. Sales of the Airbus by the French to the Chinese, for example, include not just the plane, but also the blueprints for the factories, and the knowledge transfer on how to build and maintain those factories. COBOL-IT applies this same methodology when selling the Open Source COBOL Compiler Suite. With COBOL-IT, there is no price for Compiler or Runtime licenses. In addition to the money saved, this offering provides another significant advantage to the corporate client. That is, their COBOL vendor will never again be a « black box » in their IT system, raising new security questions whenever there is a change in management, or ownership. It is not by chance that we are seeing governments and military agencies be among the first to champion the move to Open Source Software.